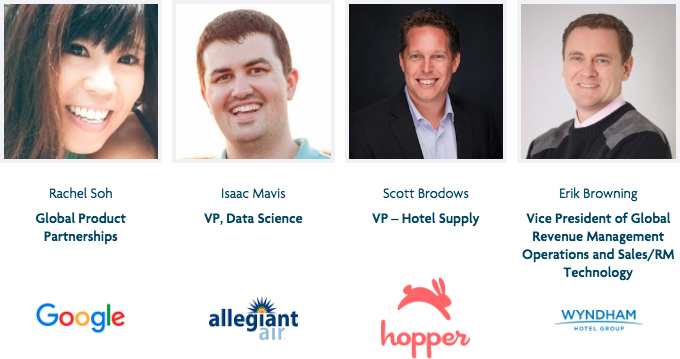 Analytics & AI in Travel North America will bring together over 350 travel decision makers from the industry’s AI, data, revenue management, and marketing sectors. Is your data and AI strategy intelligent? 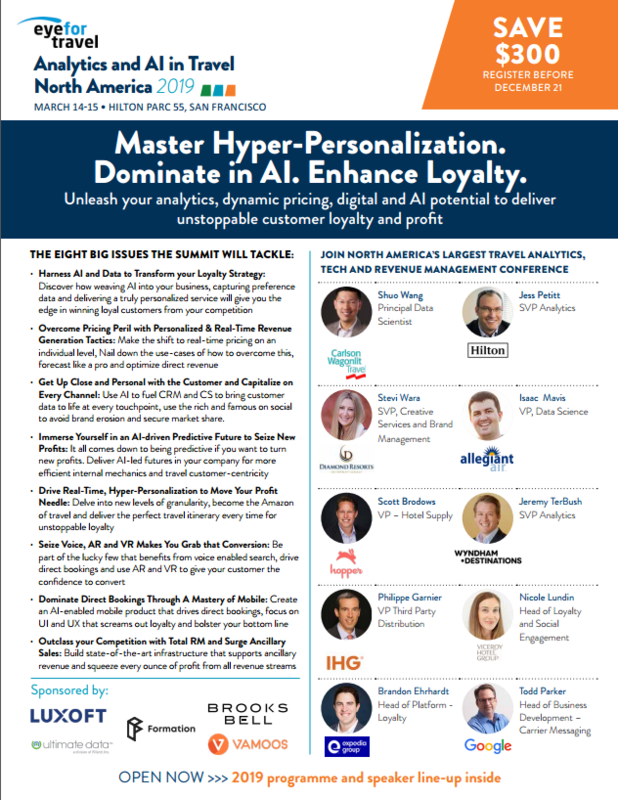 This event unites the travel industry with Silicon Valley in pursuit of hyper-personalization, unprecedented revenue growth and loyalty. Executing the killer marketing message. Customers are inundated with choices, is your message converting them? What you’ll get out of attending? Two solid days of insight with world leading brands including Expedia, Babbel, IHG, Diamond Resorts, Lufthansa, Formation AI and Cornell! Download the brochure for Analytics & AI in Travel North America right here!